FOX NEWS SUNDAY (Fox Network): Sen. Bob Menendez, D-N.J.; Mitt Romney. MEET THE PRESS (NBC): Secretary of State John Kerry; Sen. Rand Paul, R-Ky.; New York City Mayor Bill de Blasio. FACE THE NATION (CBS): Kerry; Paul; Sen. Amy Klobuchar, D-Minn.; Reince Priebus, chairman of the Republican National Committee. THIS WEEK (ABC): Kerry; Sen. Mike Lee, R-Utah; former Gov. Mike Huckabee, R-Ark. ; Laura Bush. STATE OF THE UNION (CNN): Paul; Sen. Debbie Stabenow, D-Mich.; Rep. Marsha Blackburn, R-Tenn.; former Sen. Mary Landrieu, D-La. ; former Gov. Lincoln Chafee, D-R.I. I will be announcing my candidacy for president on Facebook! Meanwhile, Hillary does Twitter and it’s all Hillary all the time. The Sunday political pundits are all atwitter. Heh. Much more. FreeRepublic Sunday Talk Show thread for this day. We had Senator Menendez from New Jersey on Fox News Sunday and this is most interesting. Menendez is under indictment for corruption by the Obama Justice Department headed by the best Attorney General this country has ever had, Eric Holder. Menendez is an unsavory character who evidently has some doctor friend that lends the Senator plenty of airplanes for trips all over the world. Or something. Probably most any other Senator has these sorts of questionable friends while accepting questionable gifts. But Menendez dared to team up with a Republican Senator, Corker, for a resolution requiring congressional approval for treaties with Iran. Menendez also takes exception with the administration’s handling of this Cuba matter. Mitt Romney made a guest appearance on Fox News Sunday as well and come on….why? So Wallace asks Mitt what he thinks of Senate Minority Leader Harry Reid (it was his BROTHER who beat him up, btw) and his snarky response to a query as to whether he felt bad about declaring Romney did not pay taxes. Mitt, as always and I am not necessarily complimenting here, was gracious. Of course that won’t happen. But graciousness does, at times, get old. The best thing going on on Meet the Press was the very dynamic round table discussing the Hillary Clinton Twitter announcement. It was Hillary as the candidate, Hillary as a President, Hillary this, Hillary that. Discussions of Hillary’s run were on every talk show, of course, but the Meet the Press table had a great variety and intriguing disparate points of view. Face the Nations wins the prize this week for the WORST guest AND the BEST guest on a Sunday political talk show today. Secretary of State John Kerry was the worst guest of the day. Kerry was on lots of the Sunday talk shows but it was on Face the Nation where he made the most pathetic argument. The host asked Kerry about the fact that the Iranian leaders are telling their public quite different things about the nuclear treaty than he is telling the American public. Kerry rambled onto some story about how this exact same thing happened the last time they were at the table. The Ayatollah went out and told lies to the people that time too and in the end it was the American lies that were the right ones. It was a desperate explanation as my ears heard it. Rand Paul too was guest on lots of the Sunday shows what with announcing his entry into the presidential race. Maybe Paul needs a male questioner but his answers were smooth, neat, quick and logical. Then again the questioner was not reading a book and calling it a question. 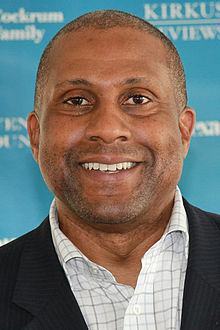 On ABC’s This Week we had the best round table pundit of the day in the form of one Tavis Smiley. Make no mistake Smiley Is very liberal but he made it obvious that he is no great fan of Hillary Clinton. “Heer nomination is not written in stone,” Tavis told us. Smiley launched into a plethora of things wrong with Hillary, the most major one is that she’s not liberal enough. “The Clintons always, once they are elected, go back to the center,” is how Smiley phrased it. I like Smiley. He doesn’t shrink from his own truth. State of the Union, over on CNN, had a most intriguing guest in the form of Lincoln Chafe of Main. Chafee is busy feeling around for a presidential run himself what with Hillary all in trouble. Chafee has been it all, a Democrat, Republican and an Independent. Just like his constituents one might argue. His entry into the Democratic fun should be very interesting. Folks I think Hillary Clinton is in all sorts of trouble in her bid to run our lives. Frankly I think it’s more the email matter because any opponent that does not make hay of that is too stupid to be President. Romney would, of course, be gracious about it. Americans understand emails. They might glaze over at the mention of Benghazi and such as foundations filled with Saudi money mean nothing to Joe the plumber. Add the missing emails and hey, we’ve all sent something we regretted it. At times we’ve all raced to erase an errant email. 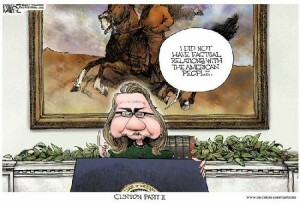 Knowing that the Secretary of State decided which emails to erase and which to keep will rub all of us the wrong way. After casting all sorts of aspersions with the email issues, then folks will believe that whatever the hell a Benghazi is, Hillary probably stole it and is selling it on the black market to fill up Clinton foundation coffers. It’s a slam dunk for Republicans to win this handily. Who knows the Republicans might really fight the battle. I predict Hillary will be approached by the Democrats and asked, graciously, to drop out. Bearing in mind that I am seldom right in my predictions. NEXT : Some tidbits and the Sussex county council meets again. One Comment on "The National Scene-The Sunday Political Talk Show Report on 4/12/15"
← With a Picture Worth a Thousand Words, We’ve Got Several Thousand With Pics of Delaware Goings-On. The 4/11/15 edition.